Well, I spent another day NOT writing a blog post while on breaks at work. In my defense, my light-headed-ness continued. In my — what? accusation? prosecution? Somebody get me a thesaurus! — it was not as bad as yesterday. Well, these things happened, and blog posts must be made. Why, you may ask. I say, because they are not there. See what I did there? Thus, mildly pleased with myself, I continue with this week’s Witless Wednesday post. First I throw in a random picture, so this can be a kind of a Wordless Wednesday as well (not that I am every completely wordless). 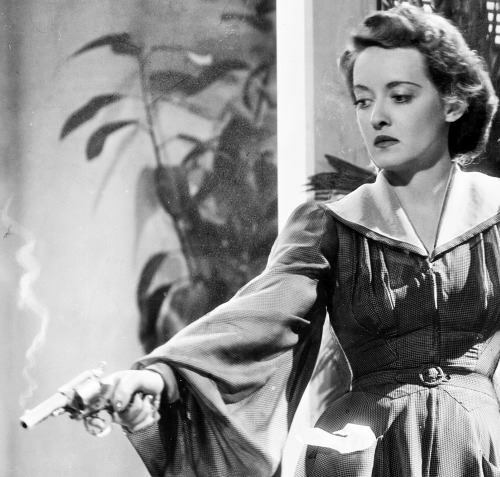 Here is Bette Davis, committing the murder that begins The Letter (1940). I thought a picture from a murder movie would be appropriate, because the rehearsal I am about to go to is for a murder mystery. Unfortunately, the murder in The Letter is no mystery. At least, not unfortunately for the movie; it’s a great movie. Unfortunately for the picture being entirely appropriate. I did mention this is Witless Wednesday, did I not? 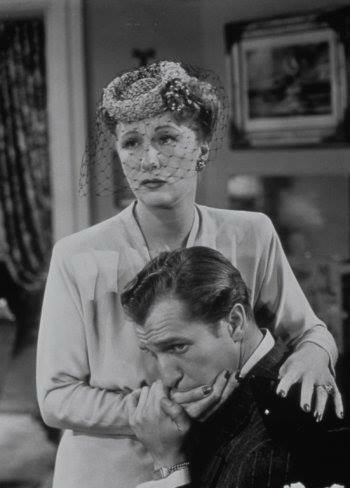 Judith Anderson and Vincent Price. Here is a picture from an authentic murder mystery, Laura (1944). In my mind, this is the real romantic couple of the picture, never mind Gene Tierney and Dana Andrews. I don’t imagine it was trivial to the victim. The murder mystery we are rehearsing is A Trivial Murder, an interactive dinner theatre to be presented March 23 at the Travel Lodge in Little Falls, NY, to benefit Herkimer County Historical Society. Doors open at 5, dinner starts at 6. Cost is $25 per person. 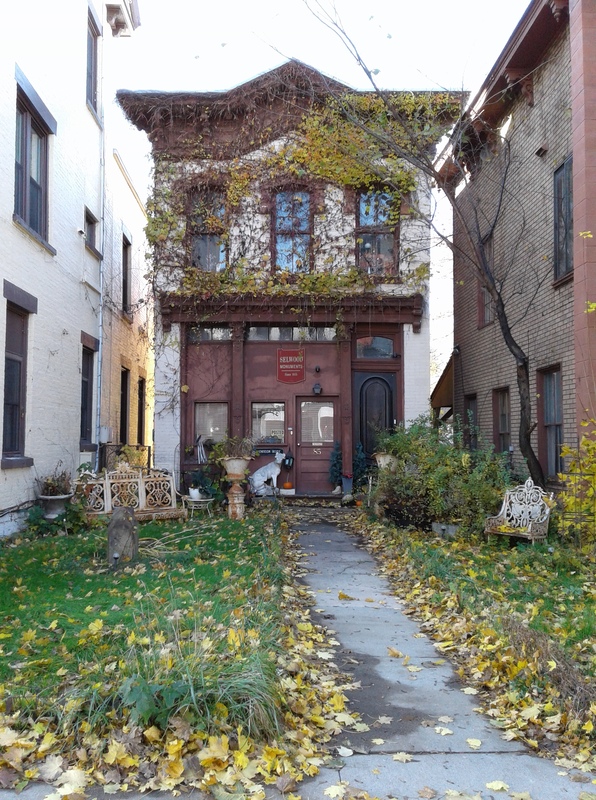 For more information, contact the historical society at 315-866-6413. Posted in humor, personal, Witless Wednesday, Wordless Wednesday and tagged A Trivial Murder, Bette Davis, blog post, blogging, herkimer county historical society, Laura, murder, murder mystery, pre rehearsal post, rehearsal, The Letter, theatre. Bookmark the permalink. I thought I would have a Wordless Wednesday post and use a lot of pictures, but I don’t think that is going to work out for me. For one reason, I have a hard time not using words. I talk and talk, or in this case type and type. Additionally, I don’t have any new pictures. I can’t use old pictures, can I? There is no such thing as a Throwback Wednesday. That’s not even alliterative! I think I may be on the way to a Witless Wednesday post. Look how cute we are! Or do I flatter myself? How about a Way Back Wednesday? 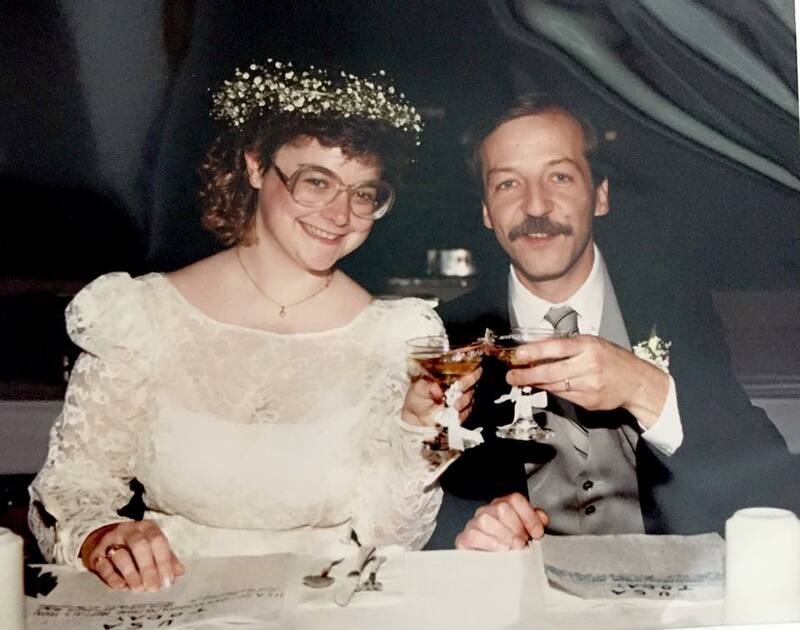 This is my wedding day in October of 1990. I prefer to drink champagne from a flute, not those wide mouthed glasses. A flute helps the champagne keep its bubbles longer. Then again, I do not usually nurse a glass of champagne long enough for bubble loss to be much of a problem. Just saying. 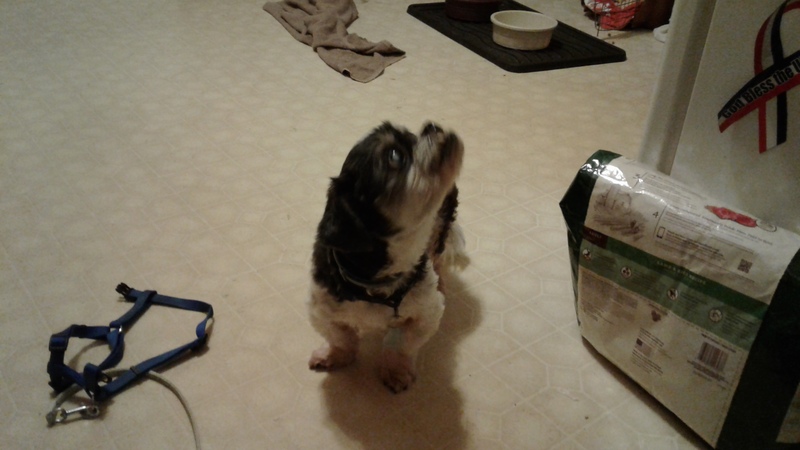 This is not nearly as far back, but here is our sweet, sadly missed Spunky. I think it is time we had another dog to share our love and brighten our days. It might be a good idea to clean the house first, but let us not dwell on such unpleasant subjects. I could probably do my hair like that if I let it grow a little longer. Speaking of me not having my act together — obviously I do not yet — here is one of my favorite photos and sayings. 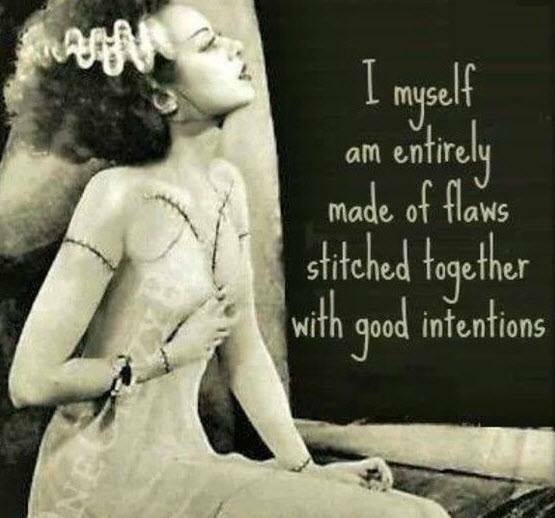 Remember, we do not have to be perfect to be beautiful! Perhaps I am not exactly beautiful, but, well, I hope I’m not bad. Happy Wednesday, everyone. Posted in humor, personal, Witless Wednesday and tagged blog post, blogging, old photos, Throwback, Wordless Wednesday. Bookmark the permalink. I should have zoomed in. I had it in my head to use this picture for a Wordless Wednesday post. It is a building that caught my eye across the street from Highwheeler Coffee, where Steven and I stopped for a snack on our Scattered Saturday. Now I wish I had gone a little closer. No matter. I can always take another picture on another visit to Highwheeler. In the meantime, I need to make my blog post. I guess Wordless Wednesday is a non-starter for me, because, well, I like words. I like to talk, I like to write, and I don’t let the fact that I don’t have anything to say deter me. So perhaps this is more of a Witless Wednesday. I definitely qualify for that (you didn’t have to tell me, as I feel sure some of you were gearing up to do) (you know who you are). I went running earlier, so I could do a Running Commentary post, but I’m really not feeling it. I’ll be honest: I wasn’t feeling like running. I felt like sitting and doing nothing, and saying, “Oh, to hell with it,” regarding the Reindeer Run 5K. I went running anyways, because (1) it may help me reach my weight-loss goals and (2) I will probably change my mind about the Reindeer Run. I guess this is kind of a Wuss-out Wednesday, because this is not much of a blog post. I must confess, I like the word “witless” better. I think it is time for a new feature Mohawk Valley Girl: Witless Wednesday. Thank you for participating. Posted in humor, personal, Witless Wednesday and tagged blog post, blogging, Highweeler Coffee, lame post, not writing, running, Wordless Wednesday, writing, Wuss-out Wednesday. Bookmark the permalink.